Great dummy! A little smaller which is great because Woody is only 5 months old. I really like the duck launcher. It works really good and never had any problems out of it!!! "This dummy is good....only problem is when I got my first one and fired it the first time the head came off." This dummy is good....only problem is when I got my first one and fired it the first time the head came off. Gun Dog Supply sent me another (this is a great company! )....same thing on the second one. Good for water training. "First one lost it's head on the second launch, but was promptly replaced by gundogsupply.com." First one lost it's head on the second launch, but was promptly replaced by gundogsupply.com. I've since lost it, so no long term use to report on! "With the first launch off the Lucky Launcher, (using the yellow loads), the head of this duck blew clear off. I will be returning it. Currently undecided if I will want a new one or just a refund"
This bird FLIES much faster and further than the canvas bumpers. The color of this bird makes it difficult to mark - especially if it goes up high above the treeline - it gets lost in the sky. When it lands, it takes a few good bounces. While that might be good for getting the dog's attention, it is not so realistic. I have never seen a dead bird bounce the way this one does when used in the launcher! "works fine but both legs and the head have fallen off"
For as much as it costs I thought this would be a durable product. But after its 5th shot the head came flying off in mid air. 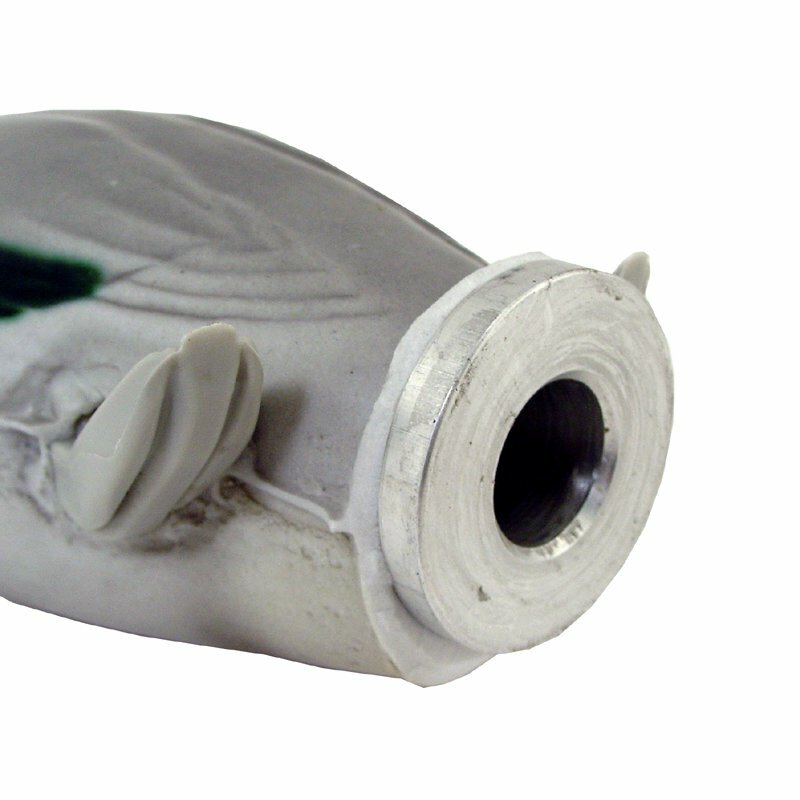 This is just one of the original dummy\'s with the bottom cut off and a metal piece inserted in it. It has good weight to it but just not made strong enough for shooting off of a launcher. Would have been great, except plastic head broke off upon launch of the 2nd day working with it. 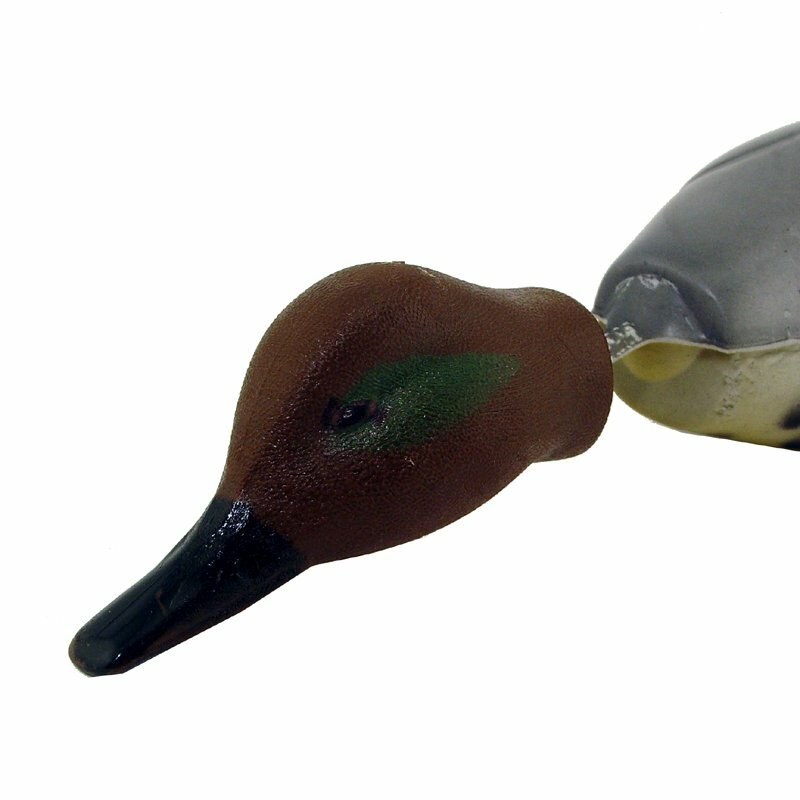 A soft natural-feel foam with free swinging hard plastic head and feet and a natural dead bird weight. The bodies are made of a soft natural-feel foam with free swinging hard plastic head and feet and a natural dead bird weight. Encourages a proper pick up and hold while discouraging the shaking of birds. 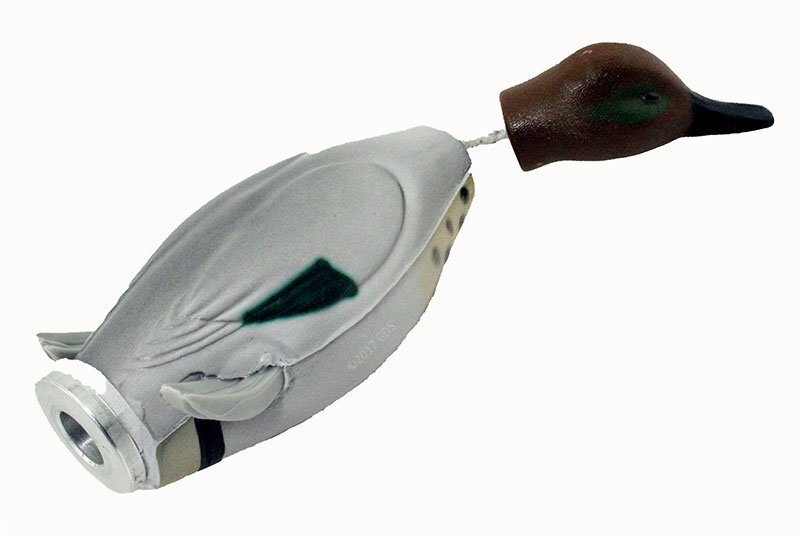 Dokken Dead Fowl Trainers float even when punctured and training scents may be injected directly into the body for added realism. Weighs approximately 8.8 oz and is 10 1/2 inches long.